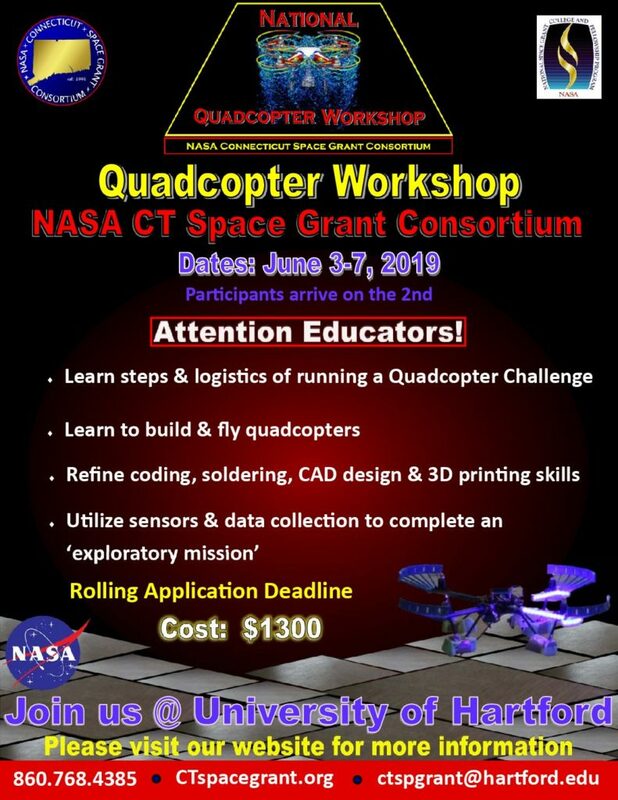 NASA Connecticut Space Grant is excited to announce the National Quadcopter Summer Workshop for Summer 2019! This workshop will be held from June 3-7, 2019 at the University of Hartford. All Space Grant faculty are eligible to attend. The workshop will include 3D printing, sensor coding and installation, and steps and logistics of how to run a Quadcopter Challenge at their own institutions, culminated in a exploratory mission utilizing the quadcopters where participants use the quadcopter to preform data collection. The cost of this workshop is $1300.